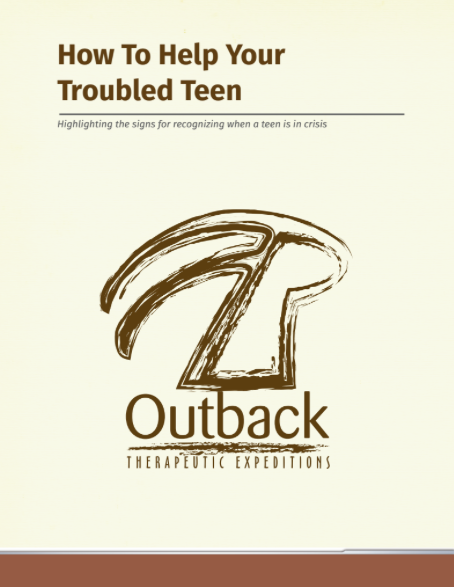 Outback Therapeutic Expeditions, which provides an innovative and effective therapeutic experience for teens in crisis, announced today, the publication of a new white paper, “How to Help Your Troubled Teen.” The fourteen-page white paper is designed to help parents, guardians, teachers, and counselors help a troubled teen who is struggling with behavioral, psychological, or emotional challenges. Adolescent rebellion in America has been more the rule than the exception. Attitudes change over time; however, today’s nuclear families are far more progressive than they were in James Dean’s day. Both parents often work; children are embraced as equal members of the household, rather than treated like little soldiers to be obediently shaped. This emphasis on letting children be who they are, which has become prominent in the last few decades, gives young people space to breathe and grow. A pitfall, however, is that this approach can result in parents overlooking signs of deep pain and crisis in their teenaged children. Your Teen May Be in Crisis: Now What? 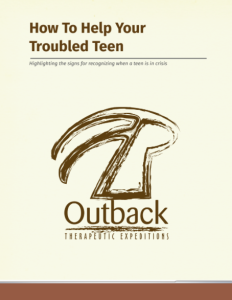 Outback Therapeutic Expeditions offers a unique therapeutic experience based on a nomadic and primitive skills model. The soothing rhythms of life in the wilderness provide a catalyst for authentic and lasting change. Each child is matched with a licensed therapist and receives a comprehensive individual treatment plan. Clinical studies confirm that our methods create long-lasting change and emotional healing. Living in small groups away from the distractions and influences of the outside world, students are able to focus on themselves and the choices that brought them here. The insights and skills that they develop are carried with them when they return to the outside world. Our Roots and Wings program carves an integral role for each teen’s family as they work through the misunderstandings and pain that brought them to this point. Our three-day Family Expedition allows parents and siblings to join the student in the wilderness for powerful, intensive family therapy. At Outback, we believe that the family is vital to the healing process and plays an important role in bringing about positive change for each child.